The classes of Battlefield are getting some key changes in Battlefield 1. 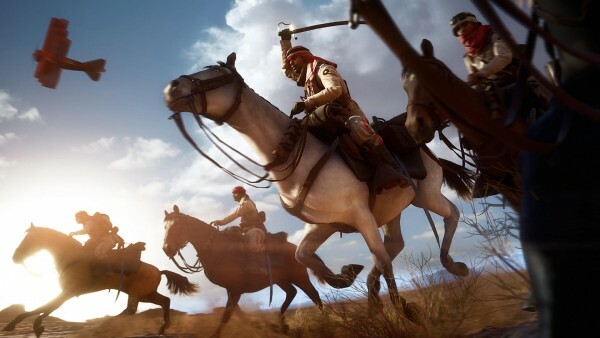 Battlefield 1 will obviously continue the series’ tradition of having key roles filled by various classes. However, the game’s WW1 setting has added a few twists to the familiar setup. Speaking to our Battlefield expert Westie, weapon designer Julian Schimek explained what each class can do in the game. For instance, Assaults can now take out vehicles, and Medics are able to heal infantry as well as repair vehicles. Support is still the way to go if you’re supplying ammo and/or want to use LMGs, whereas Scouts excel at reconnaissance as well as sniper rifle use. You’ll notice that there’s no distinct Engineer class anymore, as parts of it where fused with Assault and others with Medic. DICE also made each class look very distinct, so they’re easily identifiable, as the studio has been known to do. Driving a tank or flying a plane is only possible through the new Pilot and Tanker classes. You can only select these over the usual four, and DICE says your vehicle will act “as your primary weapon”. We’ll see for ourselves when Battlefield 1 comes out in October.